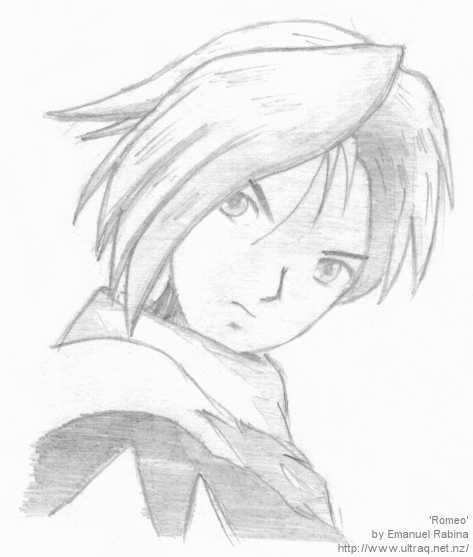 With the assistance of the tutorials at Julie's How To Draw Anime, I took the picture of Iria (from an anime you may or may not have heard of), and since that pose made her look slightly like a young man, I turned it into one. You'll notice that it has alot of Iria's features, but I've tried to make it suit a Romeo character. The Romeo & Juliet assignment said we get a picture or draw our own characters, so I drew my own. The picture above is of my Romeo character.